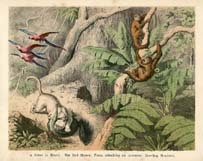 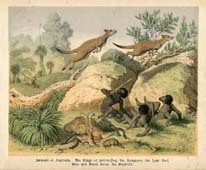 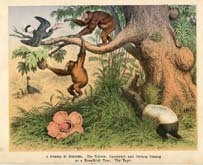 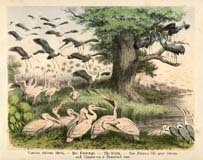 These Mammal and Bird prints are from an 1860s children's reader that introduces animals from all over the world. 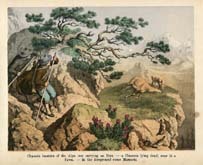 As the introduction says "It may be safely asserted that, among any company of young people, very few will be found who are quite insensible to the delights of traveling". 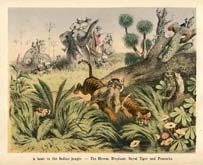 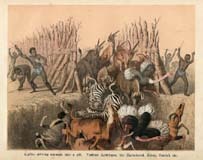 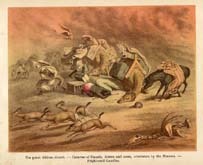 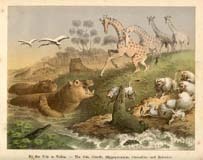 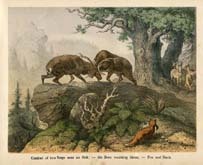 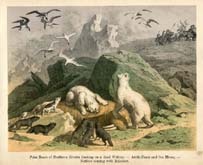 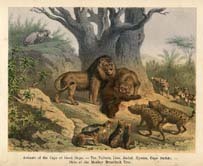 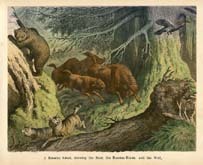 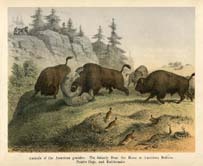 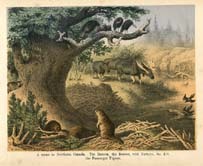 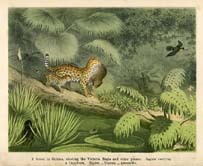 The prints portray the mammals and birds in their native settings throughout the world, including Europe, North America, South America, Africa and Asia. 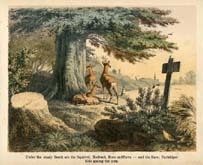 The color engraved prints were produced by the London firm of George Routledge and Sons. 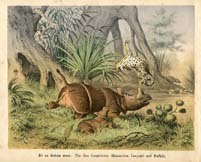 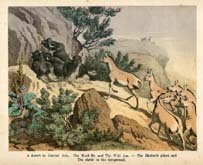 Routledge (1812-1888) was a British publisher of popular illustrated fiction and non-fiction for both children and adults. 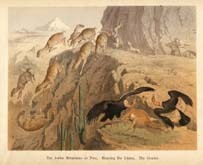 At one point the firm joined forces with the publishing company founded by Frederick Warne and his brother, best known as the publishers of Beatrix Potter's stories.